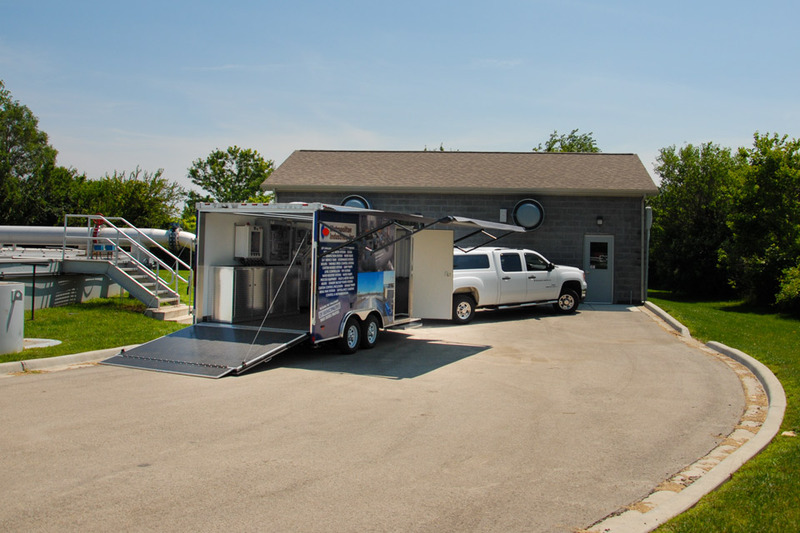 Metropolitan's New Mobile Showroom Drives Innovation to Your Facility! Metropolitan’s New Mobile Showroom Drives Innovation to Your Facility! Metropolitan Industries introduces the Metropolitan Mobile Showroom. We are taking our custom design and innovative solution expertise on the road. Now customers have an opportunity to see our latest innovations in their own backyard. That’s right, we are inviting you to sign-up to learn more about the products and experts behind our products, bringing the Mobile Showroom to your facility. Complete with a water display, various pumps and control equipment, Metropolitan’s Municipal display trailer can best be described as a trade show on wheels featuring the latest technology from Metropolitan Industries. We will visit your facility with an opportunity for your employees to earn continuing education hours as well. What better way to show you the best solutions then bringing the experts to you? For more information or to schedule a trailer day, call us at 815-886-9200 or email us at sales@metropolitanind.com.